Robotic Process Automation (RPA) is disruptive and transformational, offering increased efficiencies, quality improvements, scalability and resiliency, says Jannie Strydom, CEO of LarcAI. For organisations to succeed in an era where globalisation, hyper-competitiveness and rapidly accelerating business cycles are the foundations of business, they need to focus on reducing operational complexity, increasing agility and innovating more rapidly. At the same time, they will need to lower their costs. How can they achieve this? The answer lies in versatile and effective smart technologies that can deliver intelligent automation. Known as robotic process automation (RPA), this is a technology that is both disruptive and transformational, and offers such a vast array of benefits – including increased efficiencies, quality improvements, scalability and resiliency – that business people cannot ignore it. Jannie Strydom, CEO at LarcAI, a company that combines RPA and artificial intelligence to drive competitive advantage, answers some of the critical questions about this new technology. 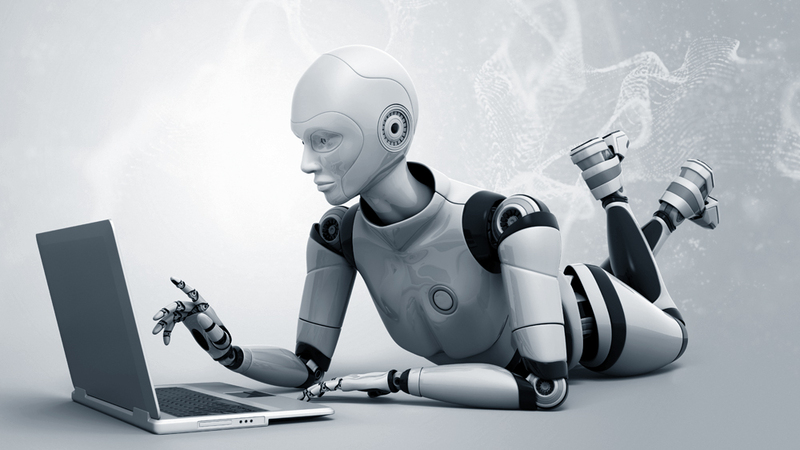 Explain what RPA is and how it ties into artificial intelligence (AI) and cognitive computing? In any organisation, the execution of processes is either completed via rule-driven processing, or by decision-making that requires some form of intelligence. The former could be referred to as ‘hand work’, which requires repetitive manual process steps with no intelligence behind them. The latter, on the other hand, can be described as ‘head work’ – in other words, complex processes that generally involve some form of judgment, such as extracting information from unstructured data and categorising it. With this technology, entire business processes can be automated from start to finish by software robots, with only limited human assistance required to manage exceptions. In effect, RPA is the automation of the ‘hand work’, where a robot uses software to mimic the actions of a person. Intelligent process automation (IPA), on the other hand, is the ‘head work’, using AI to enable the robot with learning capabilities, allowing it to make decisions autonomously. What makes this technology so disruptive and transformational? RPA is able to conduct rule-based, intelligent functions, meaning this software can simulate people in a range of activities such as document processing, customer query responses and reading and organising data, as well as making suggestions based on past queries or records. This means it will soon begin to handle the majority of low-skill, repetitive tasks. Not only will this reduce the time taken to complete a job, while simultaneously cutting down costs and improving the accuracy and quality thereof, it will also enhance customer satisfaction. Furthermore, it will enable enterprises to redirect resources to jobs that require more skill and deliver more satisfaction to the employee. In a nutshell, RPA’s ability to drive benefits across multiple dimensions, including cost savings, efficiency, accuracy, scalability and compliance is what makes this a transformational technology. It can do the job at least twice as fast as a human and operates on a 24/7/365 basis; it eliminates manual intervention, vastly reducing errors; and it is a tool that is easily replicable across geographies and business units, leading to greater scalability and flexibility. What industries or sectors is RPA most appropriate for? RPA is ideal for any industry or sector that has routine business processes that follow consistent rules, are methodical, repetitive, predictable and are wholly executed by human beings. Processes that are strong candidates for automation can be found in any desk-bound job, where work is done on a computer. Good examples of such processes can be found in human resources, the supply chain, as well as in the finance and IT services departments. Industries like banking, insurance and asset management will certainly derive great value from RPA. Obviously, the more a particular process is repeated and the more people are required to make it work, the higher the potential return on investment will be. RPA can be put in place to handle operations like the reading and sending of e-mails, document classification, capturing documents in an ERP system, performing tasks in Excel and gathering information from various sources such as the Web, databases, spreadsheets and e-mail. RPA is also applicable for the accounts payable, claims processing, loan application and new account opening functions. What are the biggest benefits that organisations can derive from using RPA? Some of the benefits have already been mentioned, such as cost reduction and speed of delivery, not to mention scalability and flexibility. Other benefits include improved service delivery and better customer service, rapid return on investment, improved accuracy and consistency, faster processing, better use of human efforts and improved compliance and audit trails. In addition, it is non-invasive technology, which does not require any major IT architecture changes or deep integration with the underlying systems. RPA offers a reliable, but fast and cost-efficient way for a ‘lightweight’ integration of processes and IT assets.